Welcome to the Baclofen Treatment for Alcoholism website. Let me introduce myself: I’m Dr Amanda Stafford, an Emergency Medicine Specialist working at the Royal Perth Hospital in Western Australia. We’re an inner city hospital and serve some of the most vulnerable and marginalised people in the state of Western Australia. It’s part of our 187 year tradition of service to our community, epitomised by our motto SERVIO meaning “service”. 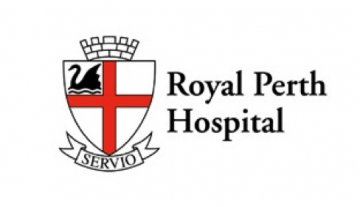 Royal Perth hospital also has a tradition and reputation for innovation and has been responsible for many advances in medicine. 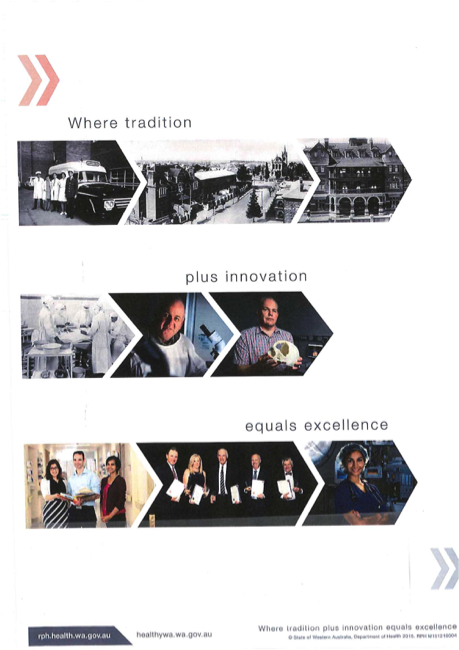 We recognise this in our hospital slogan: Where Tradition plus Innovation equals Excellence. 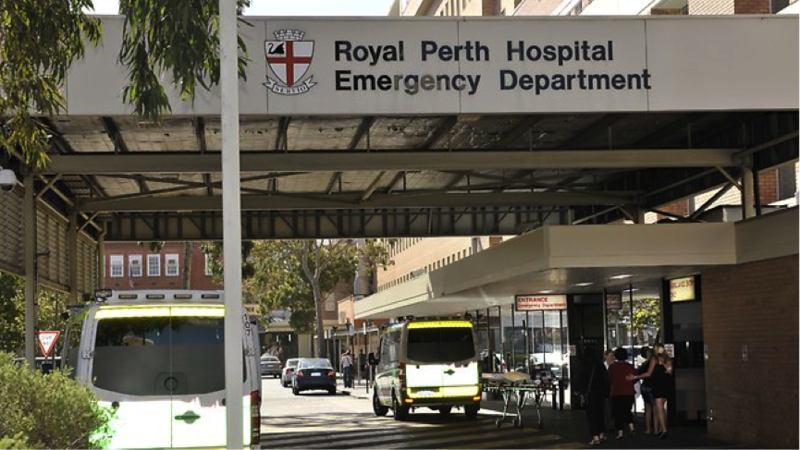 The emergency department at Royal Perth Hospital, where I work, sees around 75,000 patients each year, that’s just over 200 patients each day. We know that 1 in 8 of them, nearly 10,000 patients each year, are there because of alcohol. This work on baclofen comes as part of efforts to find better ways to treat patients whose lives are blighted by their addiction to alcohol. Baclofen is an old medication which has found a new use in the treatment of alcohol addiction. It’s effective, cheap and safe. This website is an information resource for anyone interested in finding out about baclofen for alcohol addiction – health professionals, people with alcohol addiction and the families and friends around them. The website is divided into sections to make it easier to find the information which interests you. The Background Section contains the extraordinary story of Dr Olivier Ameisen, the French doctor who discovered baclofen for this use. He was searching for an effective treatment for his own alcohol addiction because all other treatments had failed him. We also take the story further, through the spread of baclofen treatment in France and how it has now arrived in Perth. The other part is a Scientific section which describes what baclofen is and how we think it works in alcohol addiction. We also look at the clinical research to date and the large European clinical trials studies which are now completed. Their results will be released in September 2016. The Practice Guides Section has detailed practical information on how to actually use baclofen for treating alcohol problems. It’s designed to give doctors solid practical knowledge so they can rapidly master the special aspects of baclofen treatment. Also included are my best tips on how to avoid and manage problems which can arise during treatment. Patients should also read these sections so they understand their treatment thoroughly and can bring back information to share with their doctor about what’s happening with them during their treatment. This section has easy links to the printable Patient Starter Pack comprising a Patient Information sheet, Initiation Regime sheet, Continuation Regime sheet and Patient Self Evaluation sheet. The Questions and Controversies Section addresses a range of common questions about baclofen like “If it’s so great, why isn’t everyone using it?” and “Is baclofen expensive?” as well as “Abstinence or Social Drinking on baclofen?” and “But I only drink in the evening”. We’ll be adding to this section as new topics arise. The Patient Story section gives the real story of baclofen treatment as some of my patients tell their own story and experience of baclofen treatment. This section will expand with time as more people come forward to share their journey. The Future Directions section looks at developments in the pipeline which could make baclofen treatment easier and even cheaper. Again, another section which will grow over time as new developments appear on the horizon. The Resources Section is where you’ll find printouts for baclofen treatment, links to other baclofen websites and information sources worldwide and a direct link to all the webinars on the website. It also has a guide to talking with your GP about prescribing baclofen for you and we’ll be starting a list of baclofen prescribing GPs in Perth. The Contact Section gives you a voice. We’ll post useful questions and answers on the Latest News section of the website. The News section will also be where to find upcoming baclofen education sessions in Perth. Thank you for visiting baclofentreatment.com.